I'm writing a fanscript, and it would be helpful if anybody could give me a script from Spyro Fusion, you know, the bits inbetween, that Crash Fusion doesn't have. So, please post either a story summary, or a script of the main parts. Spyro: You Can Count On Us! well y know how your wrighting a script? well i'm writing a story about 's life!!! !and i've made a script 4 every spyro game that is out!!! (and me and my mates(that don't even like )are acting each one out `and my mum is recording them on my phone!!! i might put them on the web when i'm done!!! (thays if my gang let me! well its not working out as planned is the script.........*sighs*i wish some of u lot could b in my mini play,but you all live in the US! how about.....Spyro:Gets Flushed Down The Toilet! *gasping and crying cos shes ofended spyro* i'm so sorry i'lle never say any thing like that again! yes that is what i will do! maybe hell end up in another world like in flushed away! tell meeeeeeeeeeeeeeeeeee!NOW MADAM BAXTER!! !TELL ME!!! 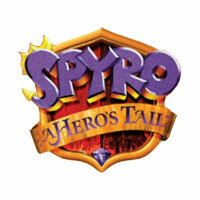 i think joking about making spyro flushed down the toilet! Dont get your knickers in a twist!